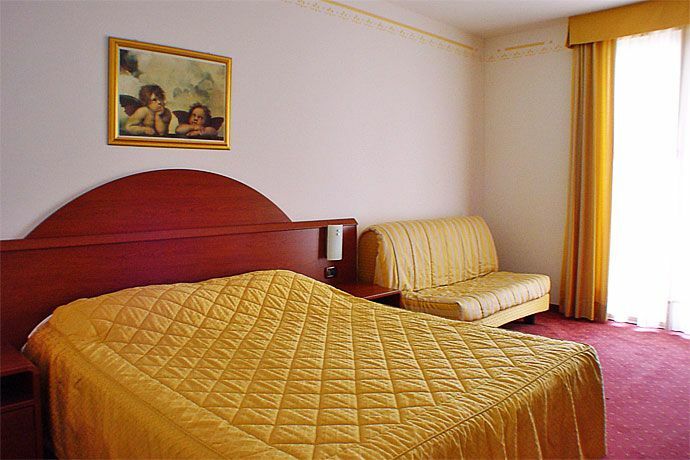 Prices per Room and per Day, including a rich buffet breakfast, service and taxes. Our family-run hotel is in a panoramic area, surrounded by vineyards and olive groves, in a 'quiet and relaxing atmosphere. Our guests can stay in spacious and comfortable rooms, with balcony, bathroom, satellite TV, hairdryer, safe, air-conditioning. 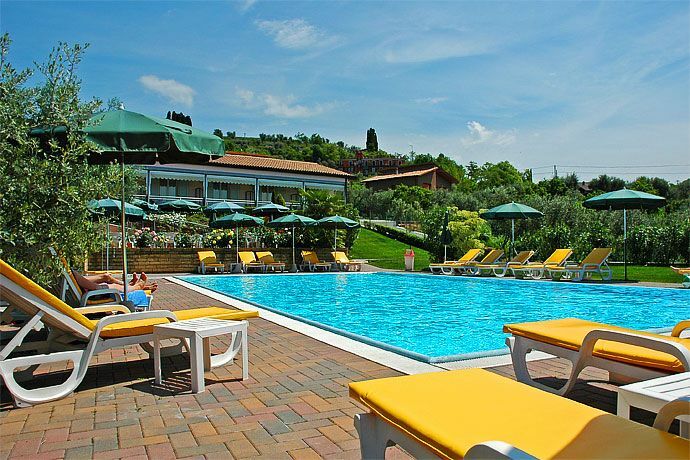 The Hotel has a whirlpool bathtub outside, swimming-pool, garden with panoramic view and private parking and Garage. 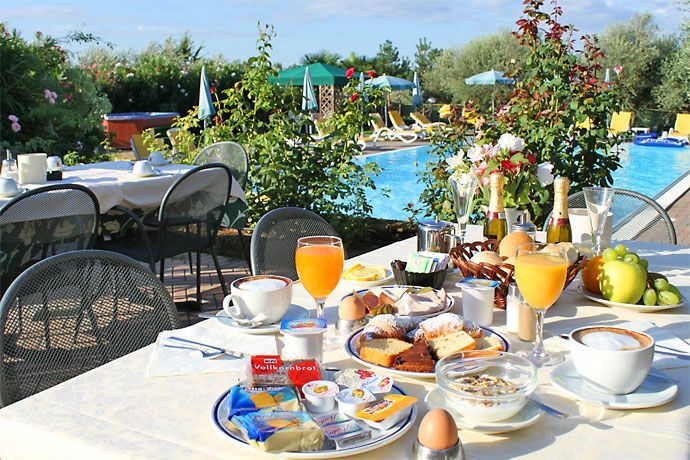 In the morning there is a rich and tasty breakfast buffet for our guests. Besides you can find a terrace with panoramic view near the swimming-pool and a garden with a Snack-Bar service. with balcony, bathroom/shower, hair-drier, Tv Sat, TV LCD 22, direct telephone, safe, air conditioning, heating, private parking, Wi-Fi in common areas. from 16 sq. meter to 21 sq. meter + bathroom + balcony. with balcony and panoramic view of the lake, bathroom/shower, hair-drier, Tv Sat, TV LCD 22, direct telephone, safe, air conditioning, heating, private parking, Wi-Fi in common areas. Rooms Superior with panoramic and swimming-pool view with balcony-terrace with a view of the landscape and of the swimming-pool, bathroom/shower, hair-drier, Tv Sat, TV LCD 22, safe, air conditioning, heating, private parking, Wi-Fi in common areas. 23 sq. meter + bathroom + terrace. 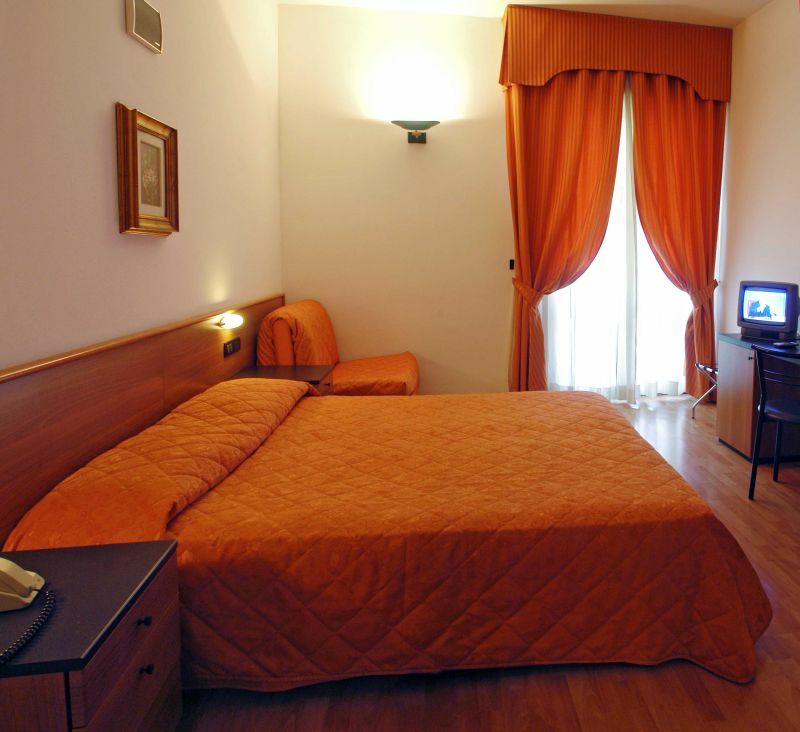 3 km from Caneva World AcquaParadise, Movieland Studios, Medieval Times, Roch Star. 20 Km from Arena Verona, Blue Transfer line. 28/03 to 27/06 = from 10 a.m to 6 p.m.
28/06 to 10/09 = from 10 a.m to 11 p.m.
11/09 to 29/09 = from 10 a.m to 6 p.m.
October on Saturdays and Sundays from 10 a.m to 6 p.m.
From 31 October to 03 November from 10 a.m to 6 p.m.
From Monday to Saturday: from 9 a.m to 5.30 p.m.
Sundays and holidays: from 9 a.m to 6 p.m.
From 10 March to 03 November 2013, every day all day. Input from 9 a.m. to 6 p.m., closing at 7 p.m.
to spend enchanting days at Gardaland park or in Caneva world one of the biggest aquatic park, Movieland, Medieval Times, Rock Star, Park Jungle Adventure, Park garden Sigurta, aquatic park Cavour, aquatic park Alto Mincio, Wellness Garda, Water Garda pools, Helicopter and Airplane tours on the Gardalake and Monte Baldo..……….Fly Garda, Cable car chairlift vom Gardalake to Monte baldo, in the garden Botanico Founded by Andre Heller, Furthermore you can visit the Zoo and Autosafari park or you can spend a relaxing day in the new thermal park from Garda, as well as a magic night at the Arena for the Opera. Lazise : The Heart of Gardalake ......relaxation and vitality for all senses. We are at your disposal for any further assistance you may require.